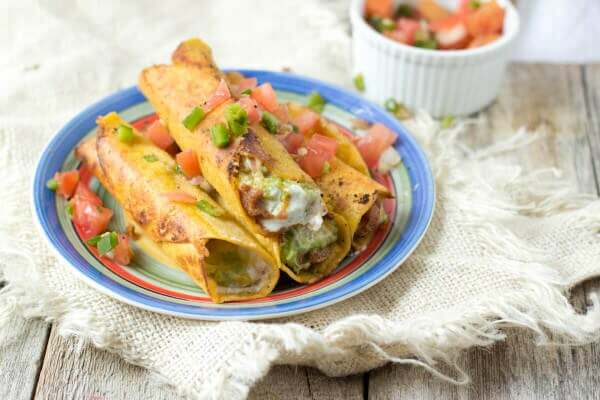 Meet these Jalapeno Popper Roll Ups! 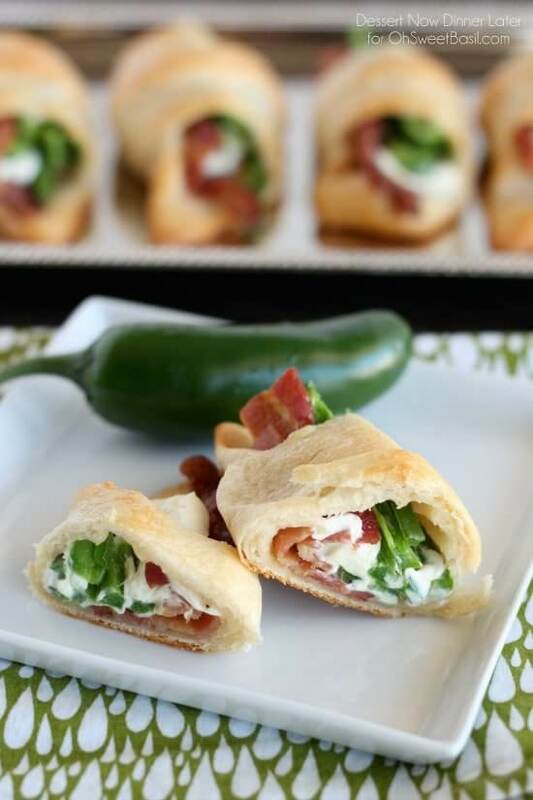 All the goodness of jalapeno poppers rolled up into a crescent roll! Talk about easy, and delicious! 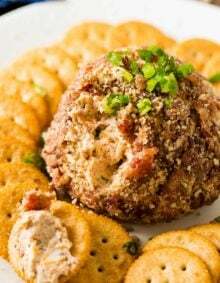 So they might be a tad bigger than the typical appetizer, but if you fill up on these, you won’t have to stuff your face with all the other snacks! Haha. My husband had a small complaint that he wished I would have left some of the seeds in the peppers because he likes his hotter, but I thought they were delicious as is! 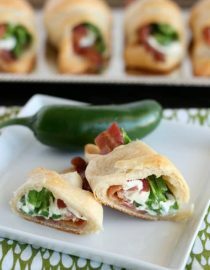 I’m not even a typical jalapeno fan unless it’s pureed up in salsa, but the cooling cream cheese, salty bacon, and tender crescent roll had me wanting more! 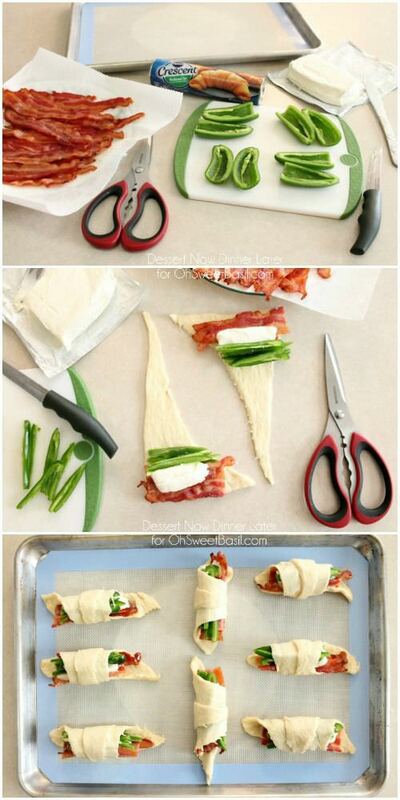 They are so easy to assemble with only 4 simple ingredients! 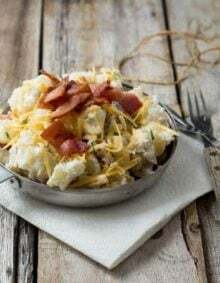 I hope you enjoy this recipe and have a safe and happy New Year’s Eve! Jalapeno poppers are jalapeño peppers that have been hollowed out, stuffed with a mixture of cheese, spices, and sometimes ground meat. They are then breaded and deep fried. 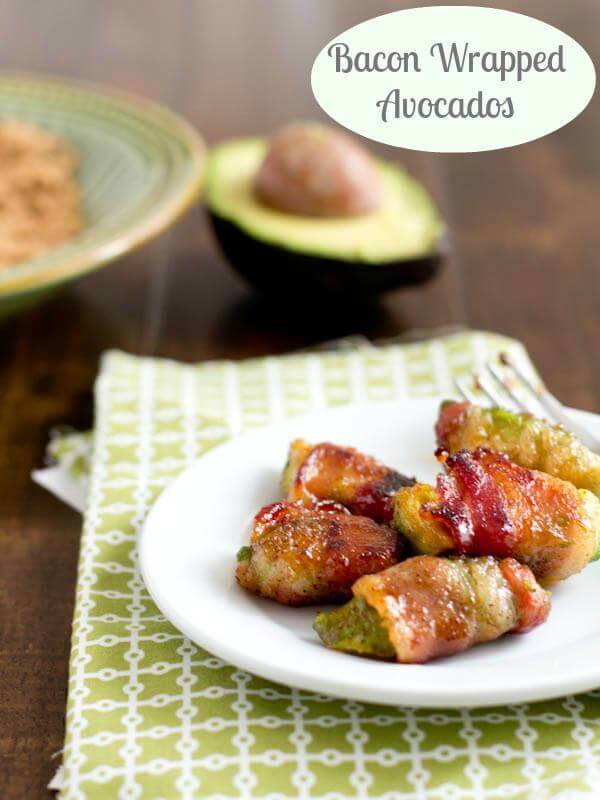 You can totally make jalapeno poppers ahead of time. They can be assembled and refrigerated or frozen until you’re ready to use them. What Is The Difference Between Cream Cheese and Neufchatel Cheese? 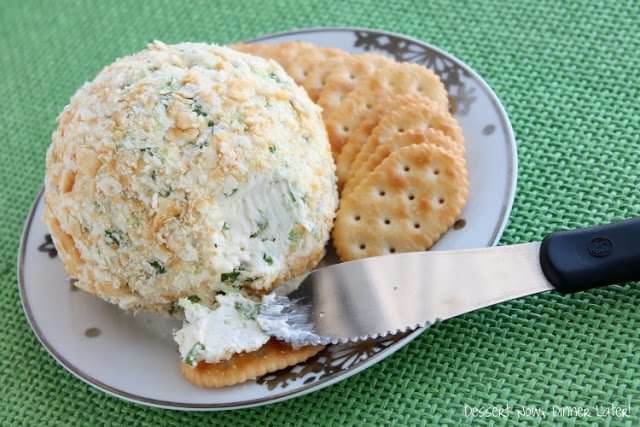 The biggest difference between Neufchâtel and Cream Cheese is, the dairy product that they are made from. Neufchatel is made using milk exclusively (23% milkfat). Cream cheese is made with milk and cream (33% milk fat). They can be used interchangeably in recipes. Cut each strip of bacon in half. Cut each jalapeno half into thin strips. 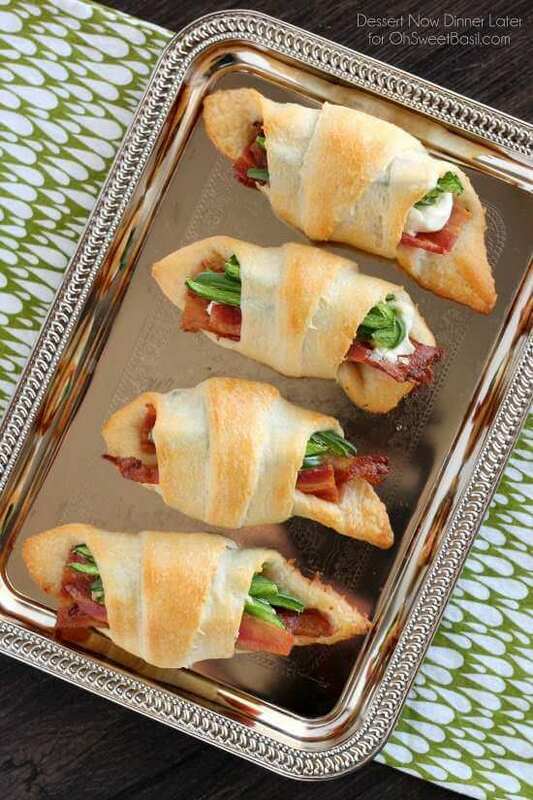 Unroll refrigerated crescent rolls into separate triangles. Place two bacon halves on top of the fat end of one crescent triangle. Layer with 1/2 oz cream cheese, and then place the strips of half a jalapeno on top of the cream cheese. Roll from the fat end of the crescent triangle, up and over the fillings until you reach the pointy tip. Place tip side down onto a prepared baking tray with parchment paper or a silicone baking mat. Bake at 375 degrees Fahrenheit for 9 to 15 minutes or until golden brown on top and bottom of the crescent rolls. Recipe from Amber at Dessert Now, Dinner Later! These look fantastic and so simple. I am going to use some left over slices of serrano ham lightly pan fried. 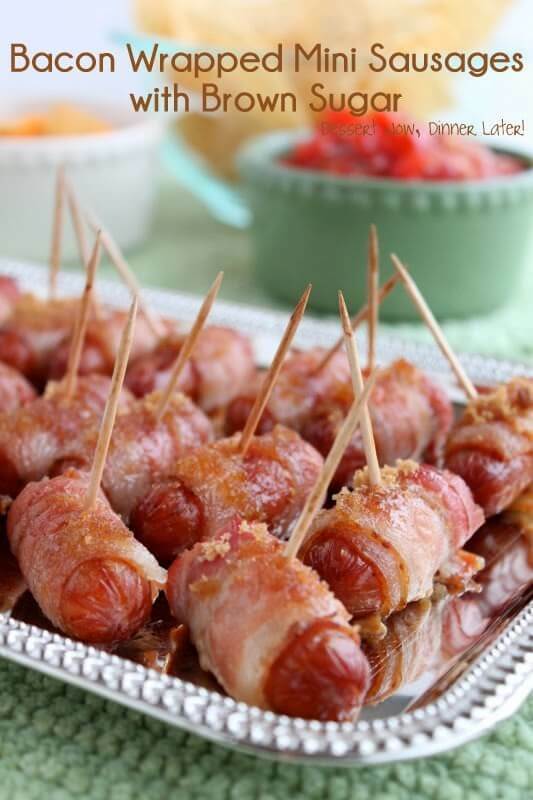 These look like the perfect appetizers for New Year’s Eve! 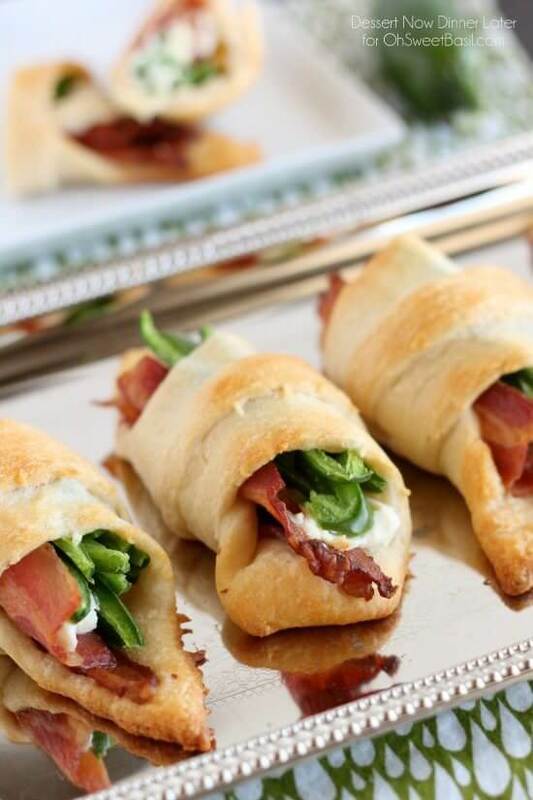 The flaky pastry sounds amazing with the cream cheese, jalapenos and bacon! 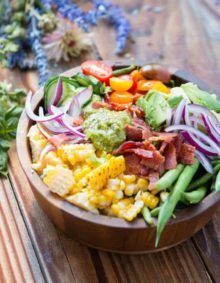 Love how simple and easy they are to whip up too!